Can this be a leech? Observation - Can this be a leech? - UK and Ireland. Description: About 20 mm [but stretching and contracting], dark brown, but slightly translucent. Head rises up, questing. Section of body swells at front and moves back about half its length. It is the movement that reminds me of a leech rather than a worm. About 20 mm [but stretching and contracting], dark brown, but slightly translucent. Head rises up, questing. Section of body swells at front and moves back about half its length. 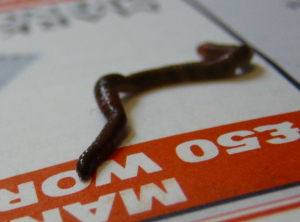 It is the movement that reminds me of a leech rather than a worm.